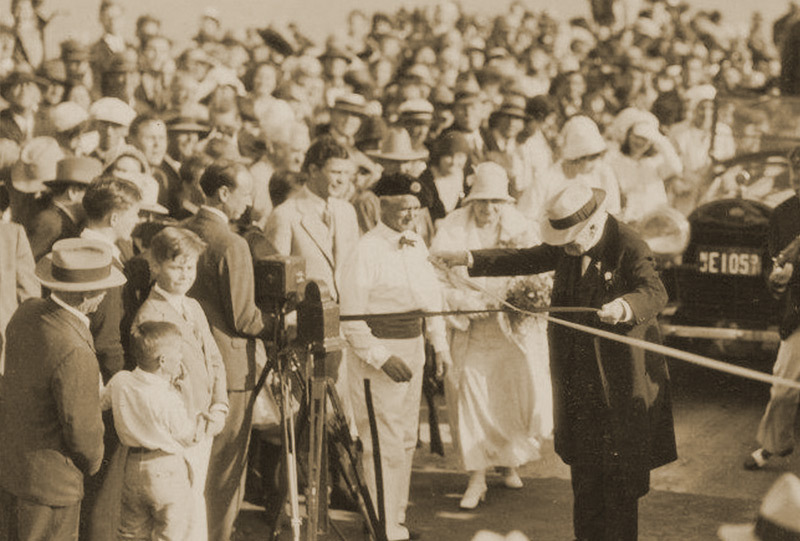 The Edison and Ford families left an incredible legacy in the small town of Fort Myers, Florida, where the two celebrated innovators spent their winters. Learn about the people and places that put Fort Myers on the map. World-renowned inventor, Thomas Edison, and his friend and business partner, Ezra Gilliland, traveled to Florida in the winter of 1885 looking for a place to relax and warm weather. They found both in abundance in the frontier town (population 349) of Fort Myers. Edison purchased a 13-acre piece of land on the Caloosahatchee River for $2,750. Soon after, Edison sketched a plan for his winter retreat, including houses, a laboratory, and extensive gardens. The estate would eventually become known as Seminole Lodge. Here, the Edison family enjoyed swimming, boating, shelling, and other outdoor activities. Edison once boasted that the best tarpon fishing in the world was available “right in front of my house in Florida.” Seminole Lodge hosted famous friends, including Henry Ford, John Burroughs, president-elect Herbert Hoover, and many more. 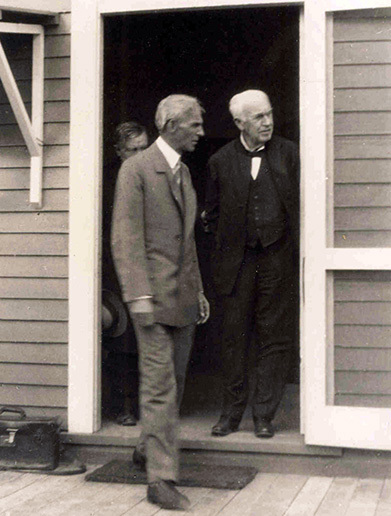 Automobile magnate, Henry Ford, developed a deep friendship with Thomas Edison that began with Ford working for the Detroit Edison Illuminating Company in the 1890s. 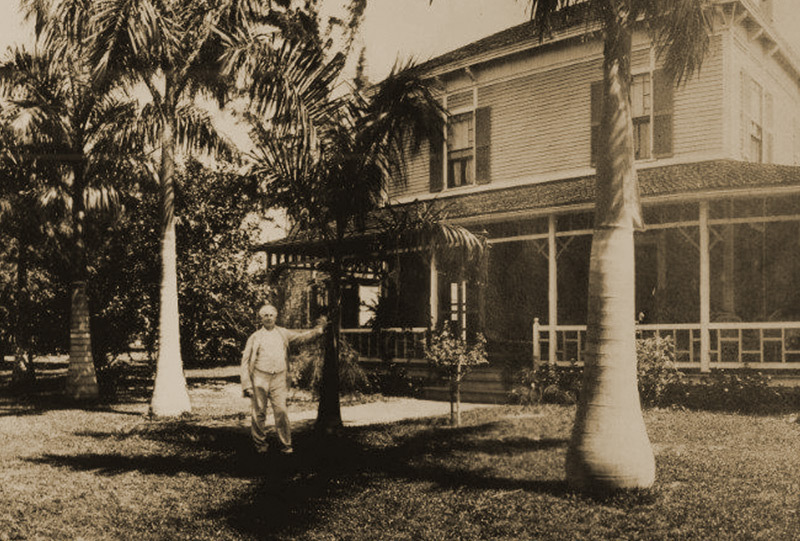 In 1914, the Ford family first visited the Edisons in Fort Myers, and in 1916, Ford purchased the property next door to Seminole Lodge. 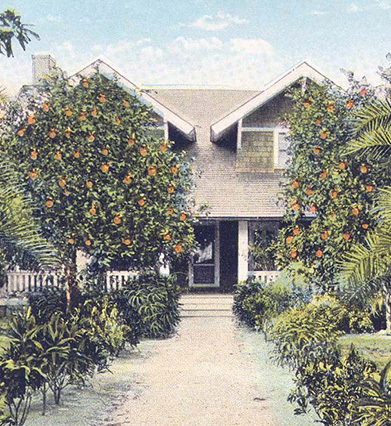 Ford’s Craftsman bungalow estate, The Mangoes, included lush grounds brimming with citrus on the banks of the Caloosahatchee River. The Ford family also enjoyed exploring the outdoors while wintering in Fort Myers, including bird watching and boating. 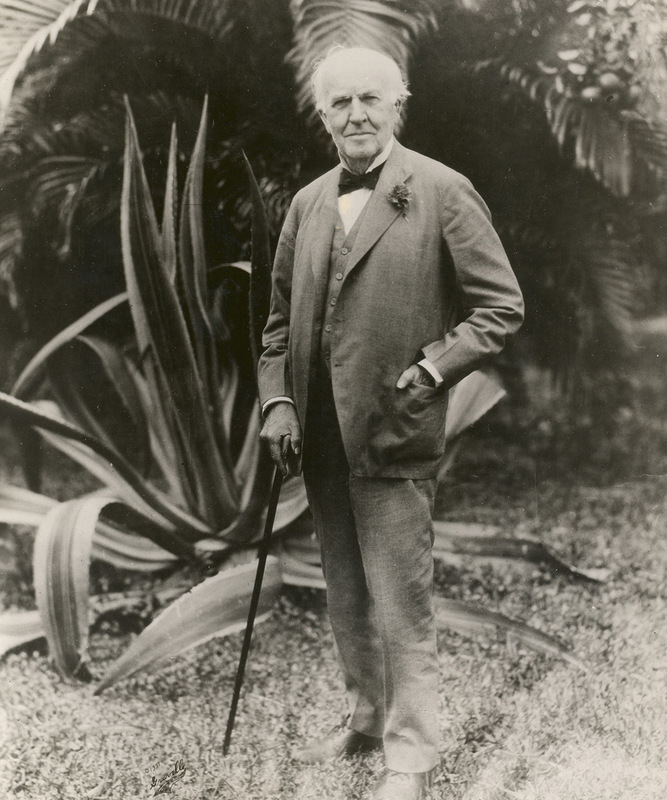 Ford was sure to spend time in Fort Myers for one particular day each year: February 11, Thomas Edison’s birthday. 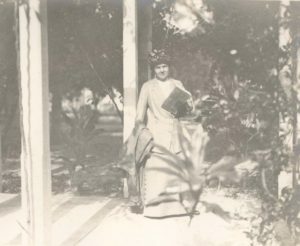 For many years, Mina Edison had become progressively involved in philanthropy, preservation, and improvement efforts in Fort Myers. In 1947, she made her ultimate gift, deeding her beloved Seminole Lodge to the City of Fort Myers as a “shrine” to the memory of her husband, Thomas Alva Edison. “My faith and belief in the sincerity of the people of Fort Myers prompts me to make this sacred spot a gift to you and posterity … in the memory of my honored and revered husband … who so thoroughly believed in the future of Fort Myers,” Mrs. Edison said. 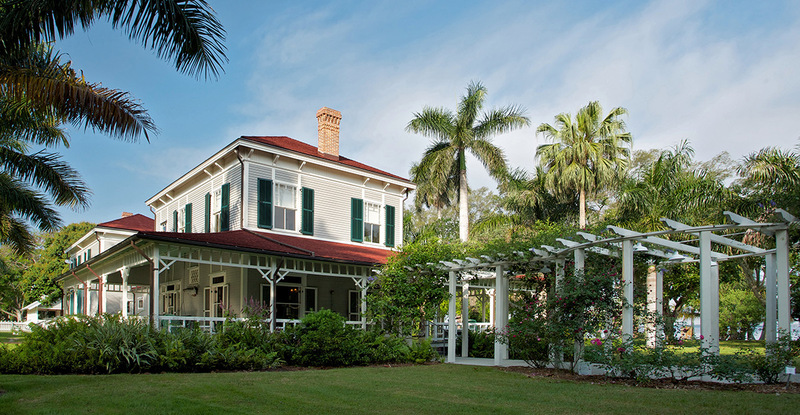 The Edison Estate opened to the public in November, 1947 and became one of Florida’s most beloved attractions during the second half of the twentieth century. Ford’s winter home was sold to a private family in 1947. In 1988, The Mangoes was sold to the City of Fort Myers, and after two years of restoration, formally opened to the public in 1990. Today, hundreds of thousands of visitors from across the globe visit the Edison and Ford Winter Estates. 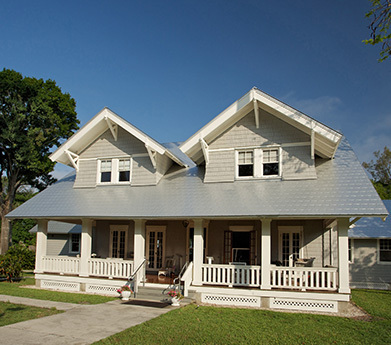 More than $14,000,000 has been spent to restore all of the historic structures to their 1929 appearance, including Seminole Lodge and The Mangoes. The site provides a unique opportunity to step back in time and explore the lives and legacies of two American icons! The most prolific inventor in American history was born in Milan, Ohio on February 11, 1847, and was the youngest of seven children. In a time when the United States was largely rural, the West had yet to be settled and things like electric light, recorded sound, and moving pictures were the stuff of imagination. By his death, 84 years later, the world would be a very different place, thanks in no small part to his work. At the age of 21, Edison received the first of his 1,093 patents, for the electric vote recorder, which was a commercial failure as it prevented legislators from using the filibuster. Edison took away the lesson that he would never again invent without ensuring the marketability of a potential product. In 1869, Edison patented his first successful invention, the stock ticker, and he later sold the rights for $40,000 (about $500,000 today). 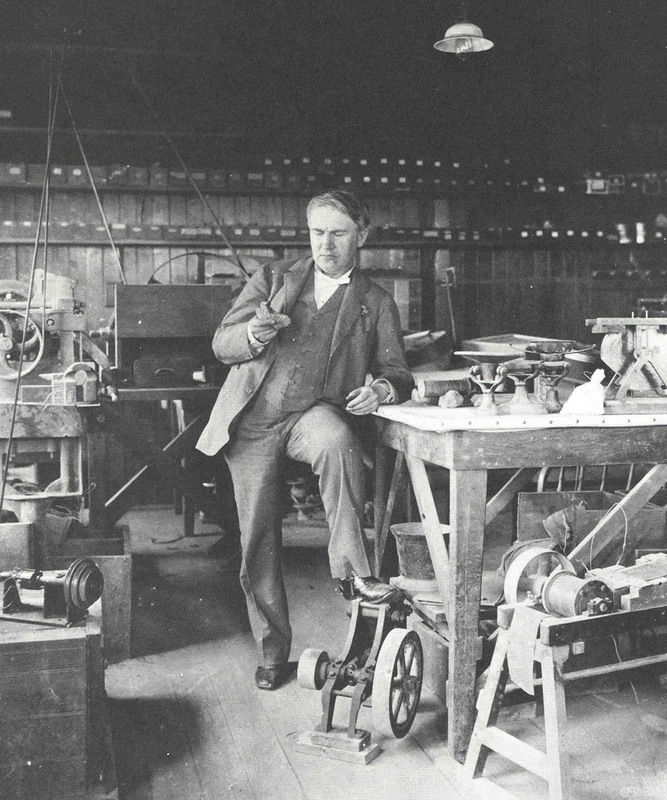 In 1876, Edison purchased land in sleepy Menlo Park, New Jersey to create his first research facility, which would incorporate both a machine shop and laboratory. A visit to England a few years previously had convinced him of the importance of an experimental laboratory. The next year, after moving his young wife Mary and their children to Menlo Park, Edison’s success took off. While working on the carbon transmitter for the telephone, he developed the phonograph, the first machine able to record and playback sound, and he became world-renowned overnight. Edison next turned his attention to developing an entire electrical generating system. At that point, Edison had three children and then his wife died in 1884. The next year he traveled to Florida for rest and relaxation and eventually made his way to Fort Myers for the first time. In 1886, Thomas Edison married Mina Miller, with whom he also had three children. They honeymooned in Fort Myers. Edison went on to such projects as the storage battery, Portland cement, and assisted the military during World War I. His final project, begun in 1927 at the age of 80, was the search for a natural source of rubber and was headquartered in Fort Myers at the Edison Botanical Research Corporation Laboratory. Edison once quipped that “genius is one percent inspiration and 99 percent perspiration.” A few years before his death at age 84 in 1931, Edison’s hard work was formally recognized when he was awarded the Congressional Gold Medal, one of the highest honors a United States civilian can receive. Indeed, Edison’s tireless efforts led to not only hundreds of patents, but the invention of the future itself. Mina Miller was born July 6, 1865, the seventh of the eleven children of inventor and Chautauqua Institute co-founder, Lewis Miller. She graduated from Akron (Ohio) High School, traveled for a year in Europe, and attended a finishing school in Boston. It was here that Mina was introduced to the newly-widowed Thomas Edison by mutual friends Ezra and Lillian Gilliland. 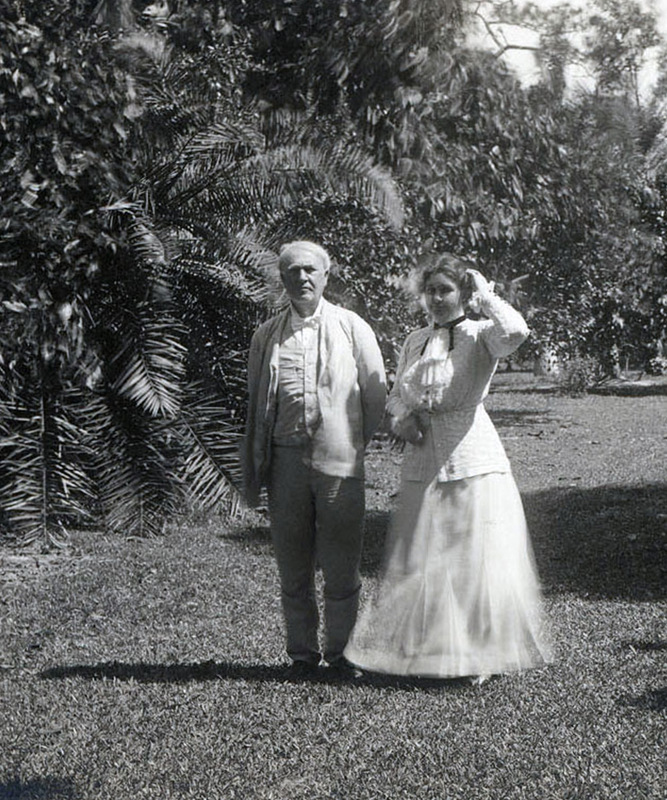 On February 24, 1886 Mina and Thomas Edison were married at Oak Place, the Miller family home in Akron, and honeymooned at newly-built Seminole Lodge in Fort Myers. 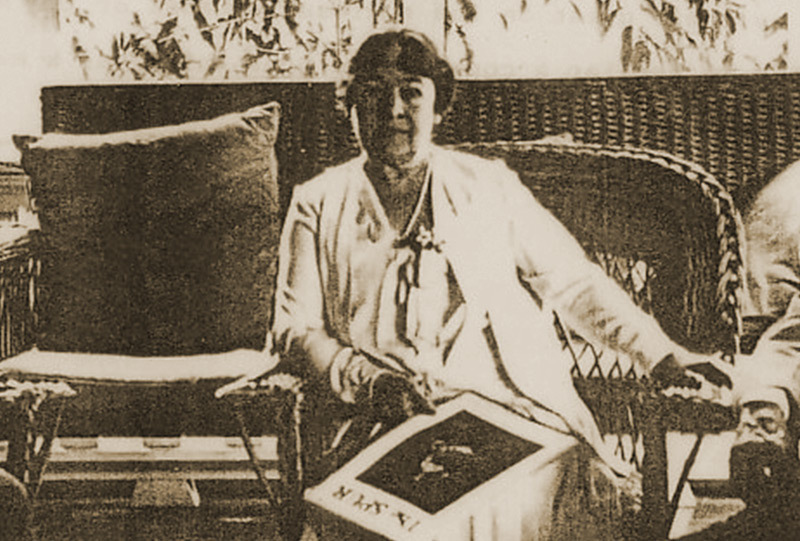 The influence of Chautauqua became apparent as Mina’s children grew up and moved away from home; Mina became active in numerous social welfare movements including the American Red Cross, the Chautauqua Association, the West Orange Community League, and the National Audubon Society. In Fort Myers, Mina was instrumental in the foundation of the Fort Myers Round Table, a group of local leaders whom she brought together around the dining room table at Seminole Lodge in the interest of community improvement. 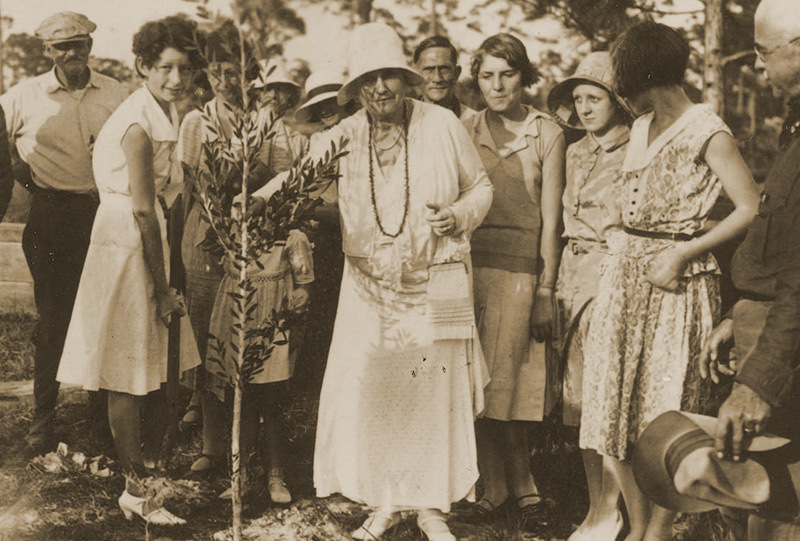 She gave numerous speeches to local groups in West Orange and in Fort Myers, often on the importance of garden clubs and neighborhood organizations, the role of recreation in the education of children, and the value of musical instruction. After Thomas Edison’s death in 1931, Mina’s community involvement continued. She married childhood friend Edward Hughes in 1935, but after his death in 1940, Mina resumed using Edison as her surname. 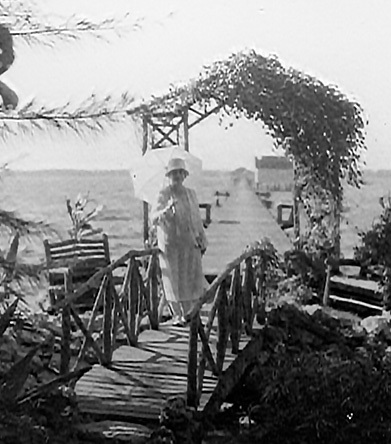 She continued to winter at Seminole Lodge until 1947, when she graciously deeded the property to the City of Fort Myers. She died shortly thereafter at the age of 82, leaving behind a legacy of philanthropy and preservation. Henry Ford was born July 30, 1863 to Irish immigrant farmers in eastern Michigan. The eldest of six children, Ford attended a nearby one-room school and worked on the farm to help support his family. Ford wasn’t particularly interested in farming, however, and at age 16 moved to Detroit where he worked as an apprentice in a machine shop. Although he returned briefly to the countryside to work for his father, shortly after his marriage to Clara Bryant in 1888, he sought employment in Detroit again. Ford was hired as a mechanical engineer by the Edison Illuminating Company, where he moved up the ranks while tinkering with experiments at home. In 1896, Ford invented the Quadricycle, a simple gas-powered vehicle that ran on four bicycle tires and was steered with a tiller. A few years later, with the backing of investors, Ford opened the Detroit Automobile Company, which failed within two years. 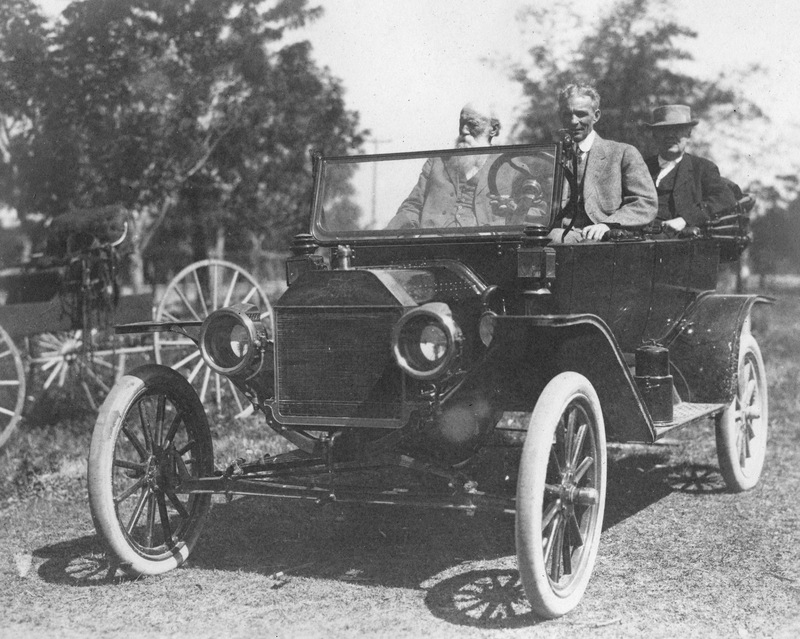 With new financial backing, Ford opened the Henry Ford Company in 1901, which also failed within a short time. In 1903, with $28,000 gathered from supporters, Ford formed the Ford Motor Company and built the Model A. After this product’s success, Ford was able to buy most of the shareholders of the company out. 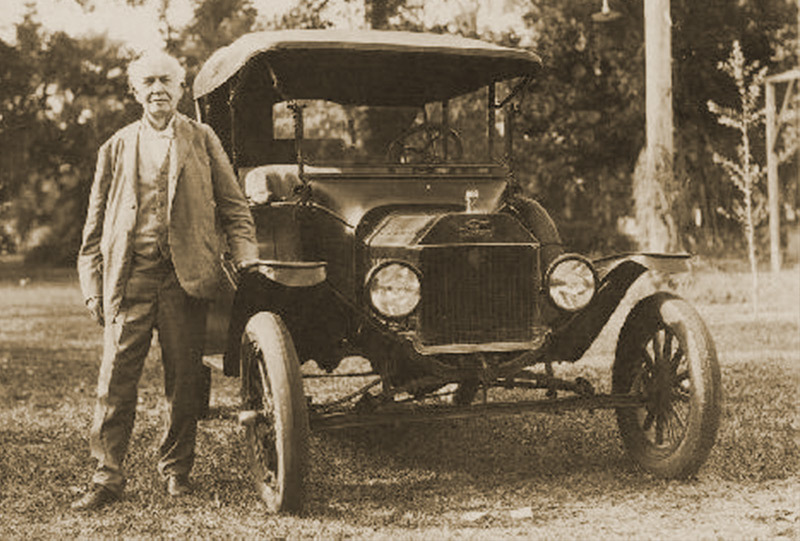 By 1908, he produced the Model T, which Ford referred to as “a motorcar for the great multitude.” The Model T’s lightweight vanadium steel, low production cost, and powerful engine made it an overnight success. Ford’s idea to use the assembly line in order to speed the manufacture of the Model T only increased production and popular demand. By 1927, the Ford Motor Company encompassed all aspects of vehicle production, from raw materials to finished product, in its huge factory complex along the Michigan Rouge River. 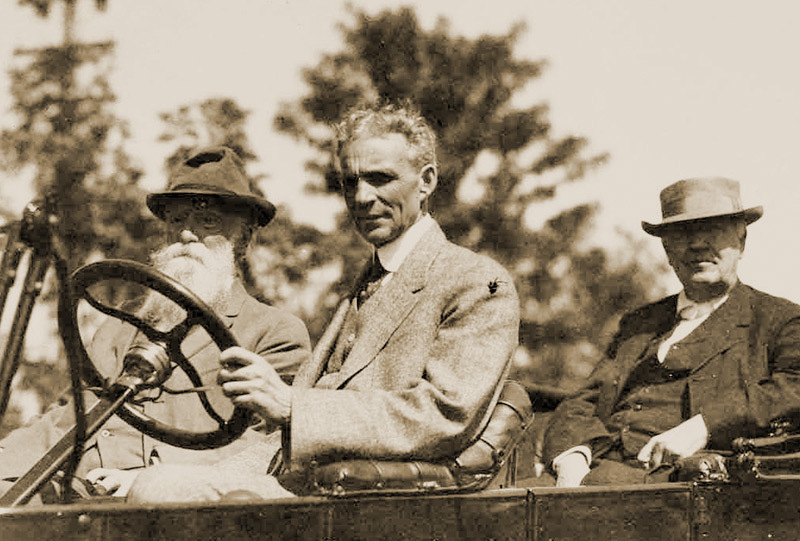 Henry Ford’s other ventures included auto racing, a pacifist boat expedition during World War I, a race for a U.S. Senate seat, the development of the Tri-Motor Airplane, and the opening of Greenfield Village and the Edison Institute. 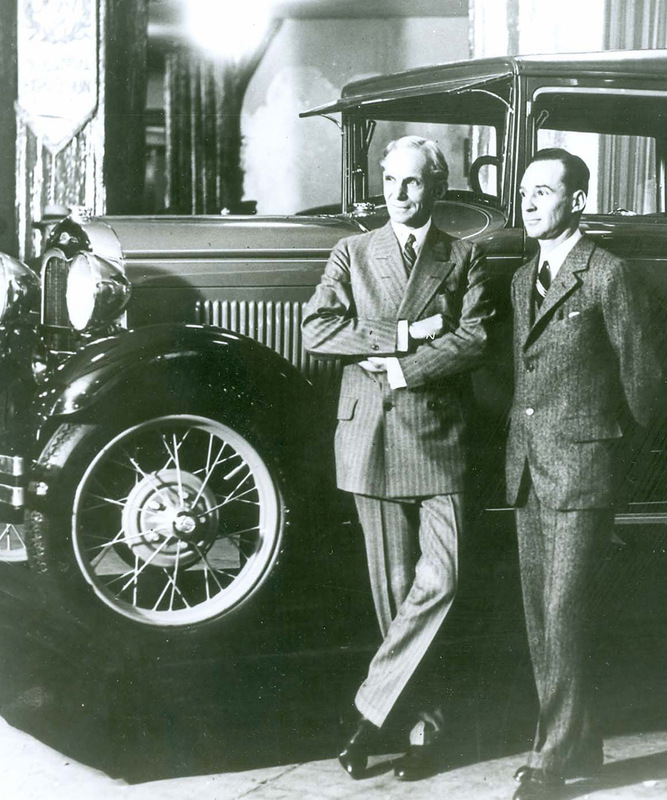 In addition, Ford went into business with his friend and mentor Thomas Edison in 1927, as a co-founder of the Edison Botanic Research Corporation, which sought to develop a domestic source of rubber. Ford’s interest in natural sources extended to other products that might enhance automobile production, including the use of soybean-based auto parts. Clara Bryant’s childhood shared many of the qualities of her husband Henry Ford: the future couple grew up on farmland north of Detroit in the mid-nineteenth century. Clara, born three years after her husband on April 11, 1866, was the third of 10 children and attended school until age 17. Clara and Henry met at a New Year’s dance at a local inn in 1885. The couple appreciated each other’s serious and ambitious natures, and they married in 1888 in the front parlor of the Bryant family home. Ford’s father, William Ford, gave the couple 40 acres of farmland where they initially settled. Shortly after, they moved to Detroit and Henry worked a variety of trades and even helped found three automobile manufacturing companies. In 1908, Ford released the Model T which would change the way the world traveled and give him great personal wealth. Henry Ford nicknamed Clara the “great believer” and always appreciated her unfailing support of his ideas and ambition. As Ford found success and became internationally known, Clara traveled with him. When at home, the couple entertained at Fair Lane, their estate on the Rouge River in Dearborn, Michigan. Henry and Clara had one son, Edsel, who helped manage the Ford Motor Company until his death from cancer in 1943, at age 49. Clara died three years after her husband, in 1950.